Ive been playing guitar for about 35 years. I grew up in Pennsylvania with a very musical family which helped my learning curve quite a bit. My father, a drummer, and my two brothers, a drummer and keyboardist, all had their own bands so I had quite a lot of exposure to their musical exploits. I actually didnt get interested in guitar until I graduated high school and from then on thats all I wanted to do. After about 6 months of nonstop practicing I got into my first local band. And playing in a band is just about one of the quickest ways to learn. 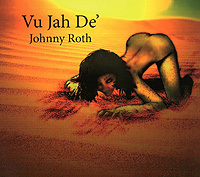 My newest CD Vu Jah De was recorded mostly at my home studio in Pennsylvania. I moved to Florida in August of 2008 and finished recording and mixing the final tracks there. I enjoy playing and recording all of the instrument parts myself because that way I can take my time and make changes to any parts without worrying about stepping on someone elses toes. But, sometimes it becomes a very long and tedious task for me recording that way. And, I have limitations on bass and keys so Im considering bringing in other musicians in the future. Although, on Vu Jah De I did use my brother Barry on drums for two tracks. Everything I do is all instrumental so obviously I dont have to worry about vocal tracks. I would also like to expand my writing to include a lot more room for improvisation. Thats where having other more proficient musicians on my recordings would be a major plus. My 1956 Les Paul has been and always will be my number one guitar. On Vu Jah De I used it for every track except Funki Taki on which I used a Takamine electric acoustic. 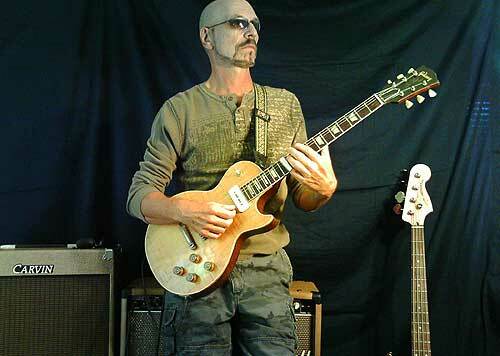 I use my 56 Les Paul for both slide and straight playing. I leave it in standard tuning for slide and the action is just slightly higher than normal. I rarely ever use an alternate tuning. As for my amps I used a Carvin Bel Air on the songs Blue Funk Con-Fusion and Vu Jah De. I went direct from guitar to amp with no pedals or effects for all of the songs except Lakota and Slow Burn. For those two I used a Blackstone Mosfet Overdrive into a Randall RM50 amp. For the rest of the tracks I used various amps and really cant remember what I used because I had so many different amps that I was experimenting with. I actually started learning guitar by playing along with Ventures LPs. I tried to learn every song I could from their albums. But then I discovered Hendrix and Cream and they opened up a whole new world for me. When the Allman Bros. Fillmore East album came out in the 70s that was the start of my slide playing. I fell in love with Duanes slide guitar and practiced to Statesboro Blues and Done Somebody Wrong for hours on end. Lowell George of Little Feat was also a brilliant slide player that I was extremely influenced by. I was also inspired by Dickey Betts melodic style and spent a lot of time studying him. As far as todays players I love Derek Trucks and Robben Ford and too many others to be able to mention here. As for my future plans I have a ton of songs in the works that I need to get completed. I was hunkered down for a long time finishing Vu Jah De. And, since I have that finished, Ive been trying to work on the bits and pieces of all the songs I have floating around trying to get some to completion. Hopefully it wont take me another 6 years to finish my next album. Now that I have relocated to Florida I plan to explore the live music scene a little more. When I left Pennsylvania I left my band mates behind, so I want to try to find the right musicians to get another tight band together. Of course playing my music live is where the real rush is for me.